Next month, both newly-sculpted and older works will be shown with the collograph prints of Highland printmaker Suzie MacKenzie, at the Birch Tree Gallery in Edinburgh in an exhibition called Reflections. 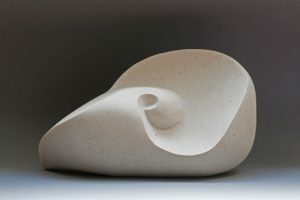 The gallery specialises in a stimulating programme of fine craft and print exhibitions that focus on the natural world and I’m looking forward to seeing my sculptures with Suzie’s work. Reflections runs from 2 to 28 February.